Hello Stampers! 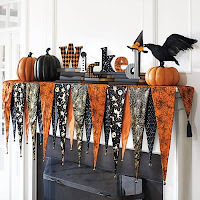 Halloween crafting has been in full swing at our house. 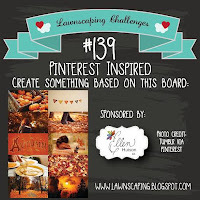 It is so fitting that this week's Tuesday Throwdown is this fun photo inspiration. I am using A Day For Daisies image called Little Witch Swing. I wanted her to be playing at night so I started by created the orange watercolor background. I then colored in the image using Copic markers then sponging yellow pigment ink allover. I find that the pigment ink is not good to go over Copic markers. It will smudge the ink, so lesson learned. I had to use my Copic multiliner to outline the image because the ink faded the original lines. I embossed the sentiment and die cut some bats to embellish the card front. Oh, so sweet Kim. Beautifully coloured and I love the bacground. Thank you for playing along with the Crafty Boots Halloween Challenge. Darn cute image and love how your card turned out! TFS! Your card is sweet, love it. Thanks for joining us over at CAS on Sunday. What a great card, thank you for joining us at CAS on Sunday! What a sweet image and card. I LOVE your card. Fab design. Your techniques are stunning. Love that you added those bats. Love how you highlighted the image. 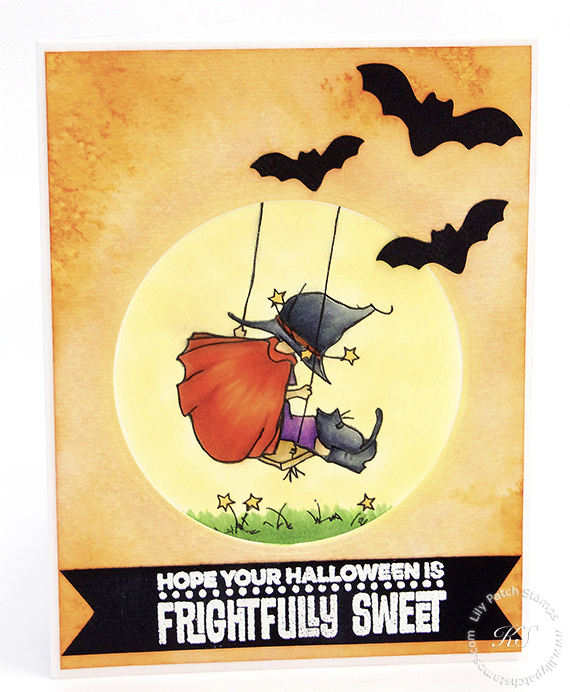 Super cute Halloween card Kim! Love the sweet image and the gorgeous background!